New Columbia Heights: DCUSA parking garage getting curling rink, hosting tournament soon! DCUSA parking garage getting curling rink, hosting tournament soon! Whoa! This is great. The DCUSA parking garage, which is criminally under-utilized (GGW reports there are times when there are 50 cars in the 1000 space garage) and which reportedly has cost the city $2.1 million a year to run is getting a new tenant: a curling rink! Curling, the Olympic sport where you push big stones into a target (sort of like horseshoes or bocce, but on ice) is apparently getting a big following in the DC area, and a curling supply company agreed to take about 1/3 of the garage and change it into a curling arena. The arena will be complete with rentals (in case you don't have your own stones and brooms,) snacks like hot dogs, and more. I'm told the rink will be called the BalancePlus DC Curling Center, BalancePlus being the curling supply company setting up the arena. Apparently most curling places in the Midwest also traditionally sell beer, but due to city regulations, that won't be the case here: you can't get a liquor license for an indoor parking lot. Outdoor parking lots are ok, which is why there's the Half Street Fairgrounds outside Nationals Park and concerts like the ones outside RFK. They're hoping to complete construction in 6 months, and right after that they're planning what's to be called the DC Voting Rights Bonspiel -- bonspiel being the curling term for a tournament. I'm not sure if that's for local teams or an invitational for Olympic-level squads. I've never curled before, but if anybody can join this tournament, I'm in. 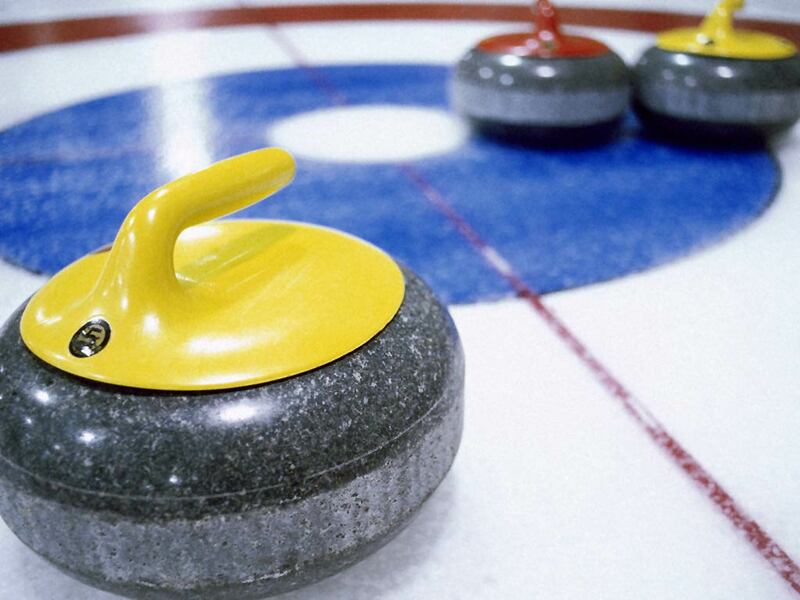 I'm also told the city will bid for the 2015 US Curling Championships, as the 2013 ones already happened and 2014 is the Olympics. This is a win-win to me. There have been some attempts to better utilize the cavernous space before for church parking and Metro employee parking, but this sounds like the best so far. nice. i forwarded the article before I thought about it. This is too believable. I almost forwarded it! DC needs instant runoff voting.